Most of us have found ourselves in the awkward situation of trying to communicate in a foreign language. Sometimes it’s funny. Sometimes it’s embarrassing. And sometimes it’s downright disastrous. But thanks to a new translation device that easily fits into your ear, the days of struggling to speak the local lingo might soon be a thing of the past. The device is called The Pilot system and Waverly Labs is the company behind this brilliantly simple yet potentially groundbreaking idea. When it hits the shelves in September, the system will allow the wearer to understand one of several foreign languages through real-time in-ear translation. A handy app will allow you to toggle through the languages you want, and the selection includes French, Spanish, Italian, and English. It’ll retail for $129, and you can pre-order one (link in article). Or you can just keep talking to people really loudly and slowly in English. Good luck with that. through the languages you want. 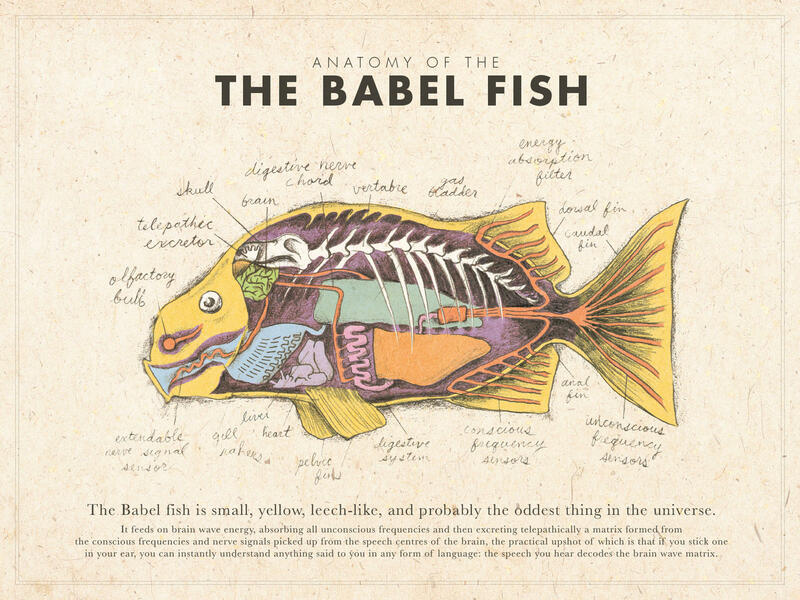 Who hasn't heard of a babel fish? All times are EST. The time now is 11:22 AM.